Every year, we went to Macedonia, Ohrid, Dibra or any other place in order to see the language differences, because we speak differently from them, we spoke gegë there. In ‘72, çak [colloquial], it happened that we started to speak the standard language. It was difficult for us, more difficult for the students and even more difficult for the parents because of additions and suffixes…but they reacted to it, ‘Tell us, tell us how it should be.’ We had a hard time getting used to it, then it seemed all normal to us after a few years. Wherever I go for official visits, I still speak the standard language, I can’t speak the gegë. Fetije Kasemi was born on July 22, 1945 in Prizren. She completed the Pedagogical High School for Albanian Language and Literature in Prizren. 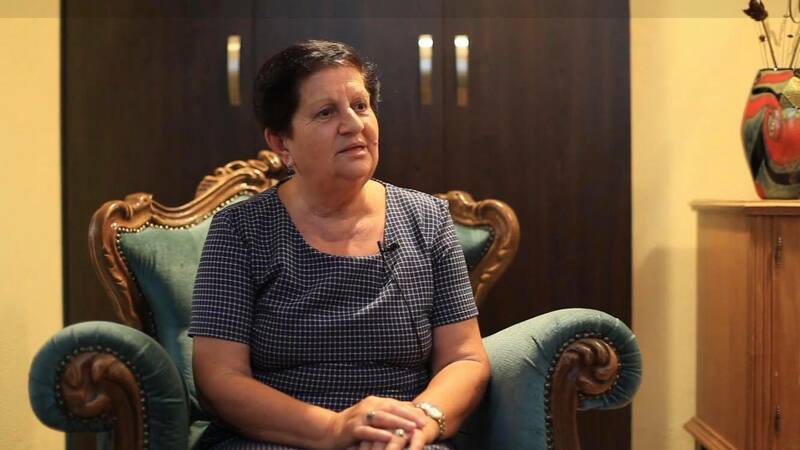 She began her career as a teacher by working at the gymnasium for several years, then she continued as a teacher of Albanian language and literature at the Emin Duraku Elementary School in Prizren, where she was also worked at until she retired. Currently, she continues to teach private classes in Albanian language and literature and is active in various non-governmental organizations in Prizren.